The Contour Series with its signature design tuck features chairs from the VIP and Club Series giving your patrons the top of the line comfort and your venue a distinctive design. The Contour Series is part of Clarin by Hussey Seating's Premium Series which also features the VIP and Club Collections. The unrivaled comfort and distinctive designs give your premium patrons the seating experience they deserve. More and more venues choose from Clarin by Hussey Seating’s selection of Premium Series folding chairs to create a memorable seating experience for their best customers. 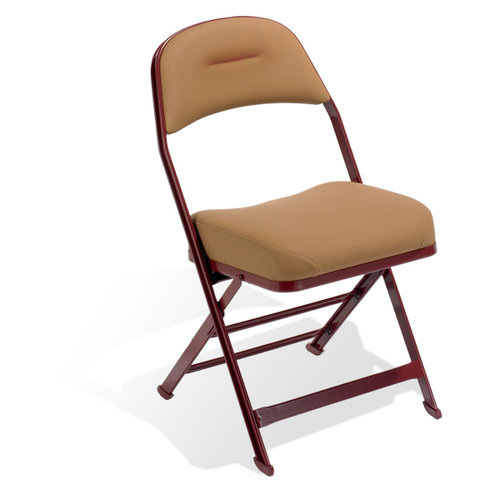 Venues find they can increase revenues by integrating the Premium Series portable folding chairs into their seating mix. The Contour models offer Series 3000 and 4000 chairs the added comfort of contoured foam ultraflex suspension seats.